Minneapolis High School is proud to sponsor Dakota Davis, the school's first contestant to represent the Lions in the regional Poetry Out Loud contest which will be held at Fort Hays State University on January 19, 2019. Davis was selected after 6 students competed in our local competition which was held Monday, December 17. 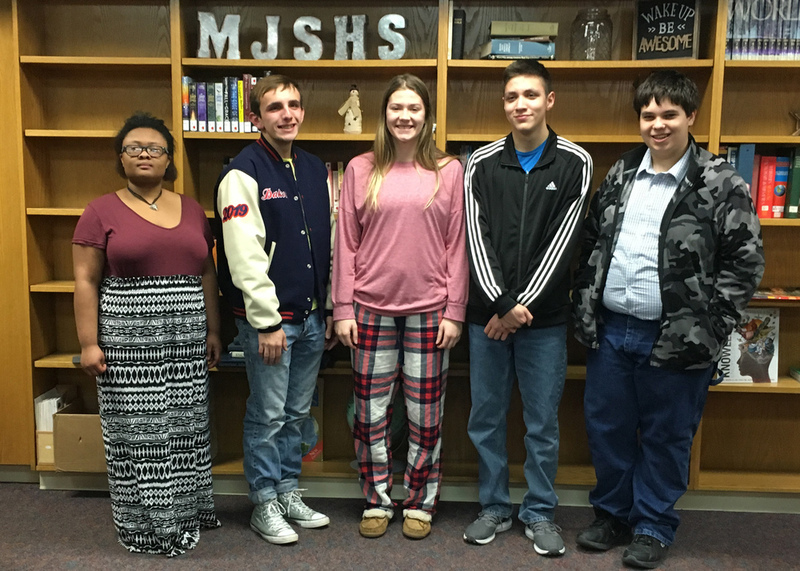 The six students competing in the Minneapolis High School contest were Davis, Kylie Fuller, Olivia Jones, Nick Harding, and Jacob Brown. These students were asked to memorize and to recite a poem selected from the Poetry Out Loud anthology. They were judged by a panel of adults based on memorization, accuracy, fluency, and expression. Fuller received the top score in the competition but was unable to represent Minneapolis at Regionals due to a schedule conflict. Davis, the first runner up, was selected to participate in Regionals. Jan Clark is the sponsor for the Minneapolis High School Poetry Out Loud Contest. For the regional competition, Davis will memorize three poems and polish his performance to compete at Poetry Out Loud Regionals. Winners will compete at the state contest which will take place in Salina on March 2, and Nationals are in Washington D.C. April 30 - May 1. Since the inception of the contest in 2005, thousands of schools and millions of students have chosen to compete in this recitation competition. Poetry Out Loud is a partnership between The Poetry Foundation and the National Endowment for the Arts. The program encourages the study of great poetry by offering educational materials and a dynamic recitation competition to high school students across the country. Competitions such as these help students master speaking and communication skills through immersion of literature.